Have you ever been to Salzburg, Austria? As a kid I use to dream about the place without knowing where it is. It’s something that runs in our family. My mom love The Sound of Music, I love The Sound of Music and my daughter loves The Sound of Music. Do you remember the opening shot from the movie “The Sounds of Music”? The beautiful hills and the marvelous Julie Andrews singing of the hills. This beautiful shots are taking place in Lake district, the Salzkammergut. From the mountains you can see castle Kloster Hoglworth- an old monastery lies on “Hoglworth see” which is a beautiful lake. I believe that anyone who goes there while having a bad day will feel better. Nonnebrg Abbey is an ancient monastery in Salzburg. The Nonnberg monastery is part of the UNESCO World Heritage sites since 1996. 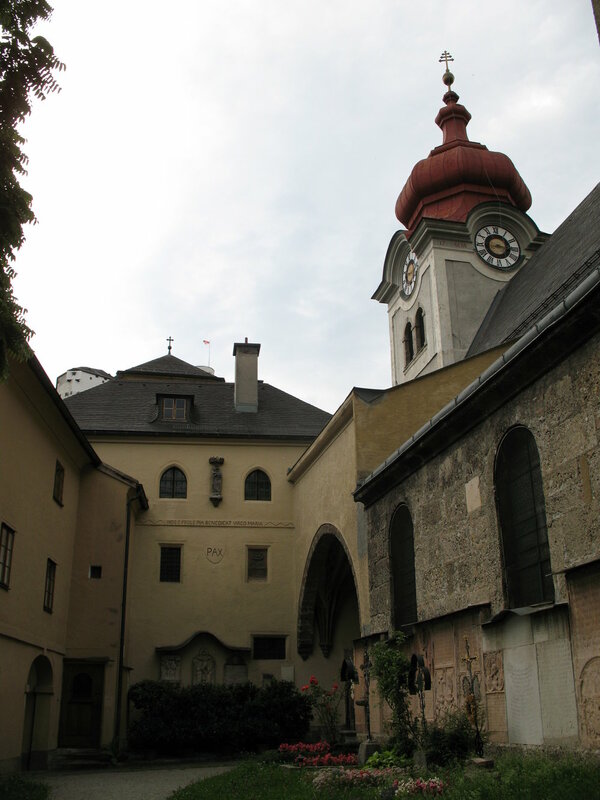 The abbey has acquired fame for it was the site where Maria spent her time until she was sent to the von Trapp family. Well Maria von Trapp, I can think about few scary things regarding a Captain with Seven children!! Since 1965, the Leopoldskron palace has been well known as the original shooting site of the von Trapp indoors scenes. 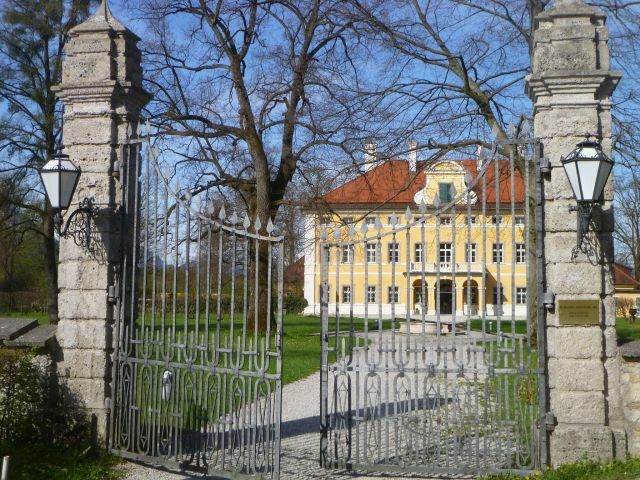 Originally it is the prince-archbishop Leopold Anton Freiherr von Firmian family residence. In 1918 Leopoldskron palace was purchased by Max Reinhardt, and he restored it. Today the Leopoldskron palace offers the idyllic getaway outside of Salzburg. With its luxurious suites and state-of-the-art technology, it is the perfect location for seminars and events. For the outdoors shots they used both the Leopoldskron palace location and the Frohnburg palace. Nowadays the Frohnburg palace is the Mozarteum Music Academy. The real von Trapp villa is in Aigen- a suburb southeast of Salzburg. It is a hotel nowadays. The song “Do Re Mi” is appearing more than once in the musical “The Sound of Music”. One of these times was during the carriage ride when Maria and the von Trapp children passed through the Residence Fountain. 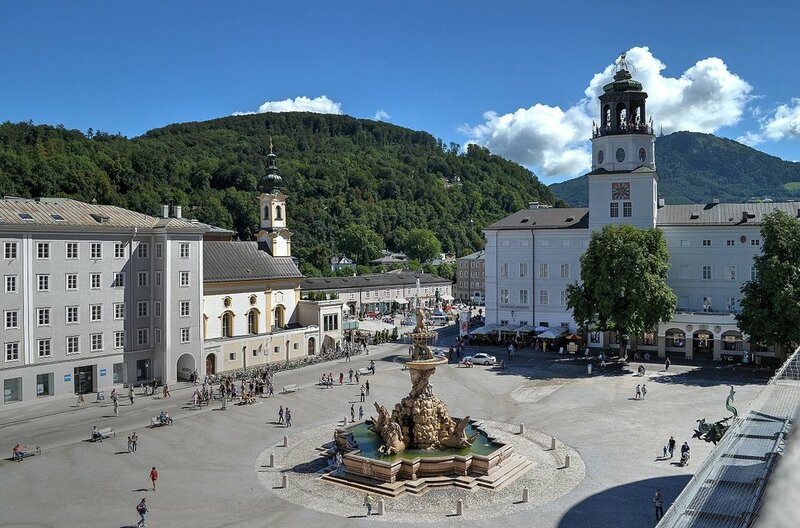 About the Residence Fountain square nowadays: It is still the most beautiful fountain in Salzburg. It’s a popular venue for big sports and cultural events. The square is holding every year the Salzburg Christmas market. Another place that “Do Re Mi” appeared was in Mirabell Gardens location. Maria and the von Trapp children dance around the Pegasus fountain in front of the Mirabell Palace, singing at the end of their picnic. Well Lisel, he was the exact type of guy you should never depend on. The famous gazebo from the “Sixteen going on seventeen” song was originally situated on the grounds of Leopoldskron. The gazebo moved to Hellbrunn park as it is an accessible site for visitors. The music festival site from which the von Trapp family disappeared filmed in Felsenreitschule. The Felsenreitschule (literally: “rock riding school”) built in 1693-94 and used as a summer riding school. From 1926 the Felsenreitschule is a theater for performances of the Salzburg Festival. The last scene is showing the von Trapp family climbing the mountains in order to cross the border to Switzerland. This scene has no sense, as there is no mountain that leads directly from Austria to Switzerland. The scene filmed in Obersalzberg which is a mountainside retreat situated above of Berchtesgaden in Bavaria. It is also a well-known place as it was one of the houses that Adolf Hitler bought as his mountain residence. Want to know what happened with the real von Trapp family? After leaving Austria in 1938, The von Trapp only income was drawn from their musical performances in USA. The family satteled in the USA and bought a farm houst in Stowe,Vermont. Today the farm house is a hotel "The Trapp Family Lodge".